Many families find their best-case scenario is to have one room with well-arranged desks, lighting, seating, and office supplies, where family members can contain their work, study activities, and clutter. Don’t let your home’s idle space go to waste. As the spring real estate season flourishes and escrows close by the thousands, many homebuyers’ fantasies of ownership become reality. For many, the house hunt is a quest for more square footage. 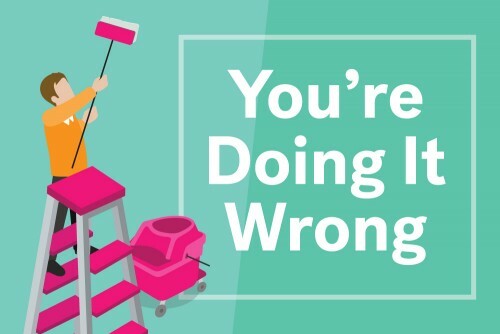 But the reality of homeownership is this: you furnish and decorate the spaces in your home only to realize that you spend 80% of your time in 20% of your home! If you have a bedroom so tiny that it’s barely usable, consider getting a sleeper sofa or making friends with a concierge at the hotel downtown and converting the little bedroom into an amazing closet. I did this at my last home — simply opened up the wall between the small room and the master, inserted floor-to-ceiling closet doors, and called in a closet organizing company to help trick out my new closet with shoe racks, sweater shelves, rods at varying heights, and drawers. Best. Closet. Ever. If you have a little more money to invest and could use an extra bathroom, a too-small bedroom makes for a good, efficient bathroom — especially if it’s located next to another bathroom, so the plumbing already exists. Even if every proper room in your home is spoken for and being used, you might still be able to find underutilized areas and spaces in your home that you can arrange more efficiently. Common culprits are very wide hallways and spaces under the stairs, both of which make excellent spots for built-in storage cabinets or desks. Probably the number one room conversion I hear homeowners consider is the change of a formal dining room into an office. Think about it: you might use the dining room a couple of days a year — a couple of weeks, max, if you are an avid entertainer or dinner party host. But these days, many people work at home at least part of the time, and running a household is a job of its own, generating papers, files, and bills galore. Kids also need a study area for homework and school projects. Many families find their best-case scenario is to have one room with well-arranged desks, lighting, seating, and office supplies, where family members can contain their work, study activities, and clutter. This promotes balance and calm in the rest of the home and minimizes distractions to boost focus. There’s something very sweet and romantic about the notion of a breakfast nook. But if you’re fortunate enough to have a nook and an eat-in kitchen island or other casual dining area, you might find yourself using the nook more for organizing the family calendars and paying the bills than for eating. If this is how things go for you, it might make sense to lean into what you’re already using this space for and optimize it by bringing organization and storage solutions to the area to cut clutter and make even your bill paying a bit more enjoyable. A great room presents the perfect opportunity to carve out the space you have in a way that aligns with the activities your family actually does on a regular basis. If you have a great room but no casual dining space, why not make the area nearest the kitchen into a breakfast nook–inspired dining area? 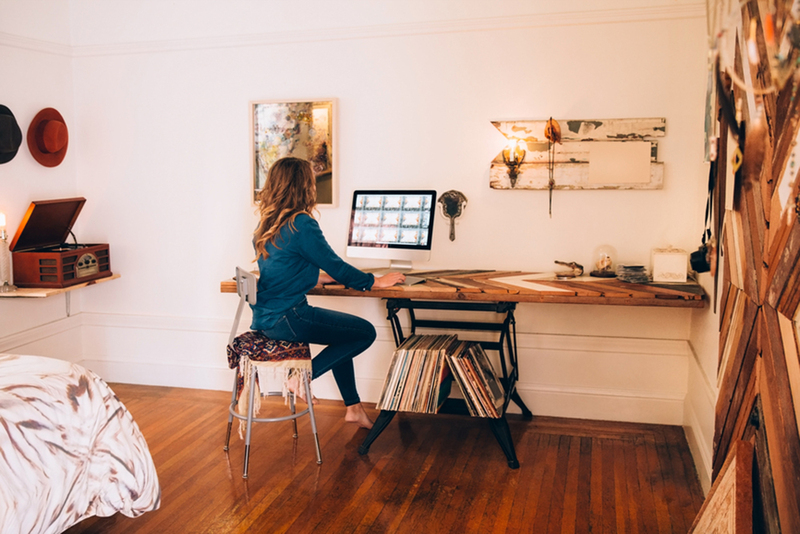 No spare room for an office? Consider setting up a desk, chair, and lamps or whatever other office area equipment your family needs in one segment of the great room. Many people think “underused space” and what instantly comes to mind is the basement. But here’s the rub: In many parts of the country, older homes were built over raised basements because the builders knew the lower areas were susceptible to flooding in the rain or snow. In such areas, it might not make sense to finish the basement with carpet and other things that will be ruined if they get wet. That said, basements often have access to the exterior of the home, and many have plumbing. This makes them the ideal sites for a tiled mudroom, with racks and shelves for family members to stash their wet shoes, coats, umbrellas, and even sports gear — and a sink or other area where they can clean up a bit so as not to track their wintry messes upstairs. Same goes for oversized laundry rooms. If you have oodles of extra laundry room space, rethink it as a mudroom/laundry room combo. If you live in an area with mild winters, but you have canine family members, the very features that make basements and laundry rooms great mudrooms render them prime spots for installing a pet bath or shower area. Are you a book junkie? If you have a formal living or dining room that is simply not being used, consider lining the walls with bookshelves — bought or built in — and converting the space into a library. Comfortable, well-lit seating and a desk or writing area will finish off the room. Have you ever repurposed a room? What was it before, and what did you do with it? Were you happy with the results? Please share! Tara-Nicholle Nelson is a real estate broker, attorney, author of two real estate guides for women, and a nationally syndicated real estate columnist. She’s also a farmers market addict, mom to two Chin/Pugs, and an Ashtanga yoga practitioner. 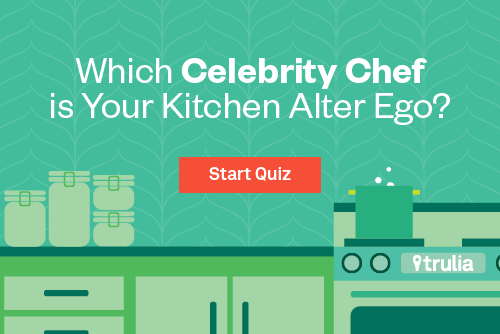 QUIZ: Which Celebrity Chef is Your Kitchen Alter Ego? Which celebrity chef inspires your culinary style? Take this quiz and find out. Whether you rent or own, setting aside time to clean is a given. But it doesn’t have to take all day. 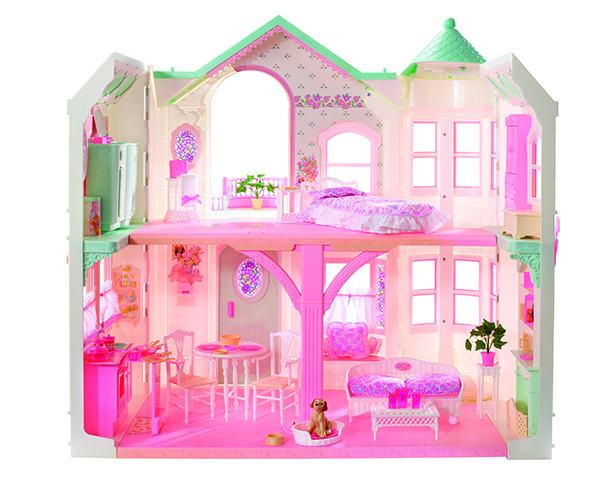 Barbie’s Moving! 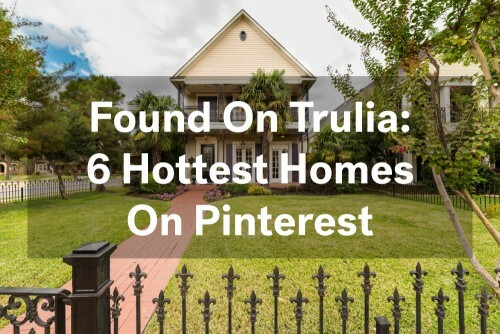 Tour Her Dreamhomes Through The Years!